What is a finesse reel? Topic: What is a finesse reel? Some on here seem to not realize what makes a reel a "finesse" reel. In an average, a finesse reel is one that is specially designed for casting light baits in the 1-7gram range. More of the extreme versions are aimed to the 1-3grams. But, most of USDM marketed products are not in the lighter end of the "finesse" spectrum. So, for arguments sake, lets just cap it at the 7 grams. The most important feature of the reel is the spool. It has to be very light for it to get that "start up" speed, and get it quickly. The brakes and bearings are also an important in the equation as that you have to be able to control the spools action. Being able to cast effortlessly and not worry about the possibility of an over run is a plus. Thats where the many different types of braking systems come into play. Daiwas magnetic control is very nice as it has almost a "variable" control as you cast, and will emit more brake force if you cast hard to help regain control. Shimanos VBS system has the ability to use different brake tabs that have a different weight to them, which allows different brake pressures to be set and customized to your liking. 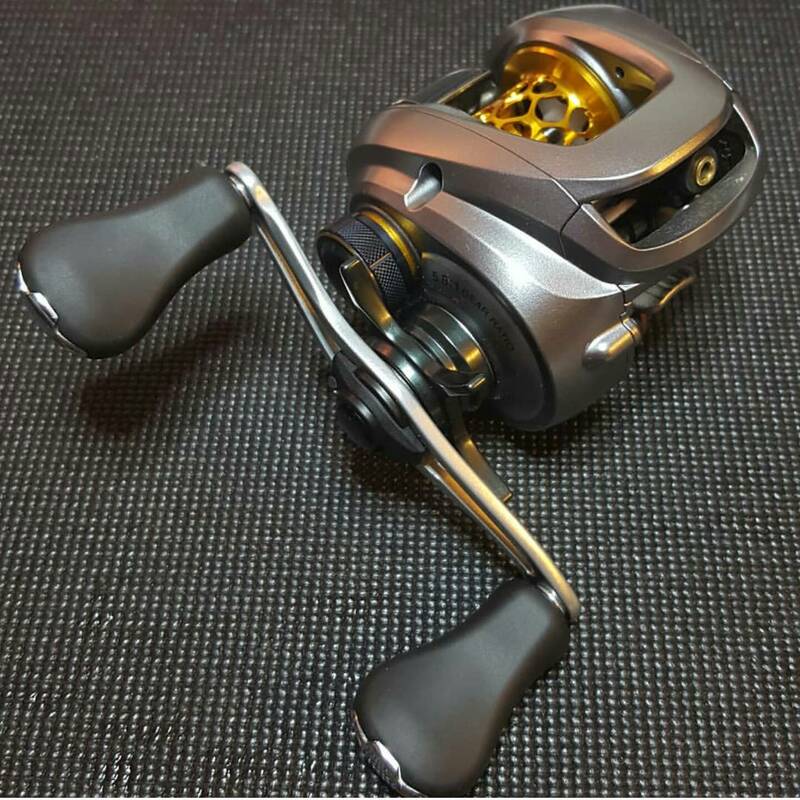 Here I will show you a few images of what I mean about reels that have shallow spools, or spools designed for lighter baits&lines. 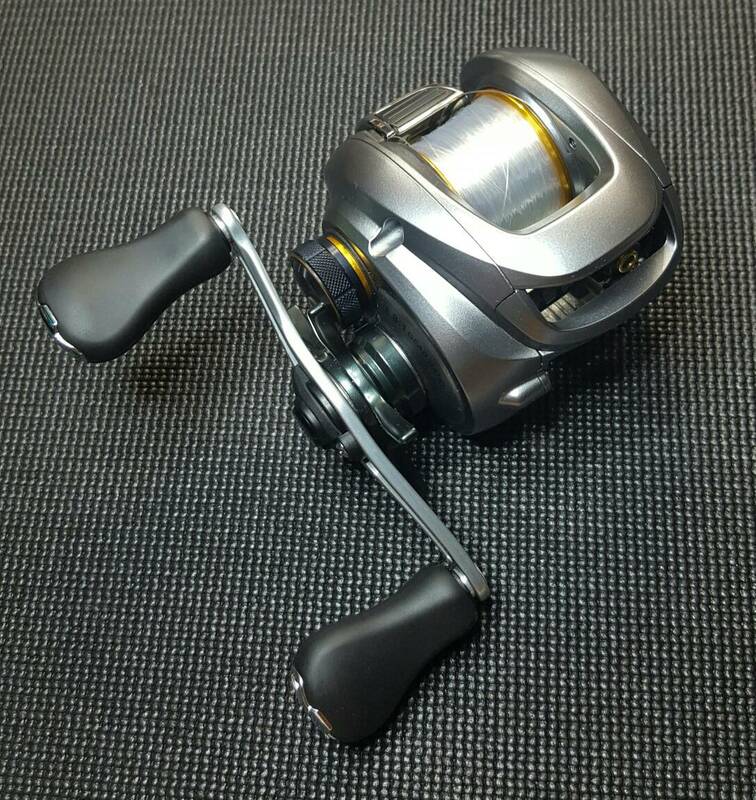 The first reel is my Daiwa PX68R, one of the best "all around" finesse reels IMO. 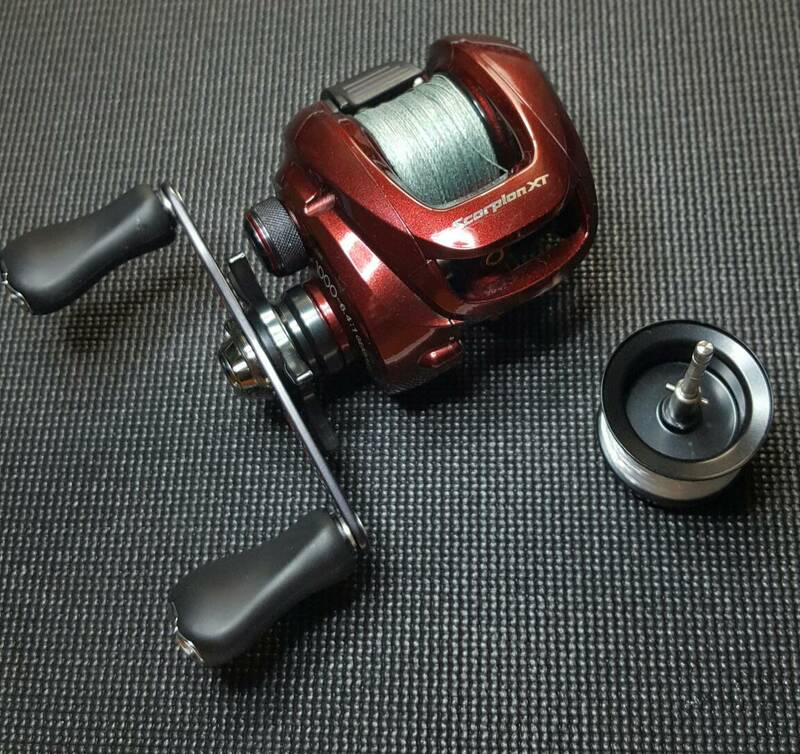 The next picture will show you my Shimano Scorpion XT1000 with a Yumeya shallow spool. The spool outside the reel shows yoj how shallow it is. The next reel is my 09Aldebaran MG, which has a Avail honeycomb spool. 2 pictures without and with line on the reel. Hopefully this thread helps some to understand what a "finesse" real really is. Re: What is a finesse reel? LMG how about a comparison shot with a stock spool from something like a tatula ct or a curado 200, or any other popular reel you may have laying around? Something to give folks a reference to get their "bearings". I've been thinkin bout a PX68R for the tiny stuffs. Good point. Ill have to do that when I get home tonight. Here are a few pictures to maybe help understand what the whole "finesse" idea with the whole "spool is important" thing. 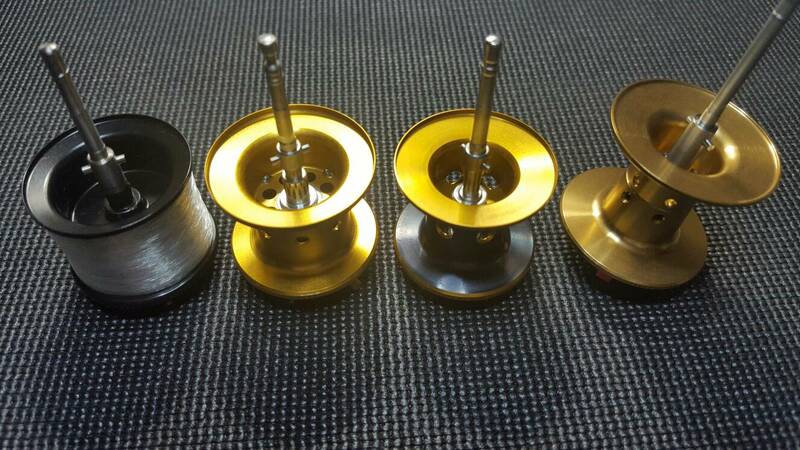 First picture, from left to right: Yumeya spool (aftermarket Shimano 50Eseries spool), Curado100D spool (factory), 50E spool (factory), 200I spool (factory). Notice how shallow the 100D spool is. These reels were great back in the day for lighter baits, better in my opinion than the 50E factory spools. Even better when you took the ScorpionMG spool and put it into the 100D, as its got a more wiffled spool like the one in my 09Aldebaran. The second picture will show you a few Daiwa spools. 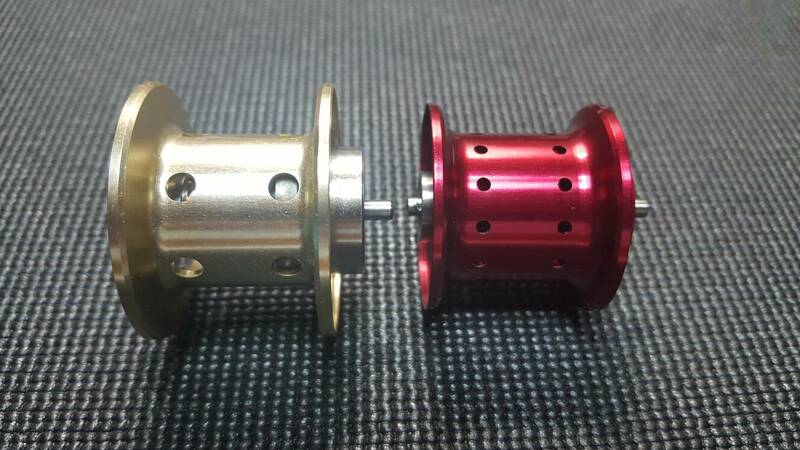 The left one is a stock spool out of a TD Fuego, which is also the same dimensions as the TD Zillion. This is Daiwas 100 size spool. 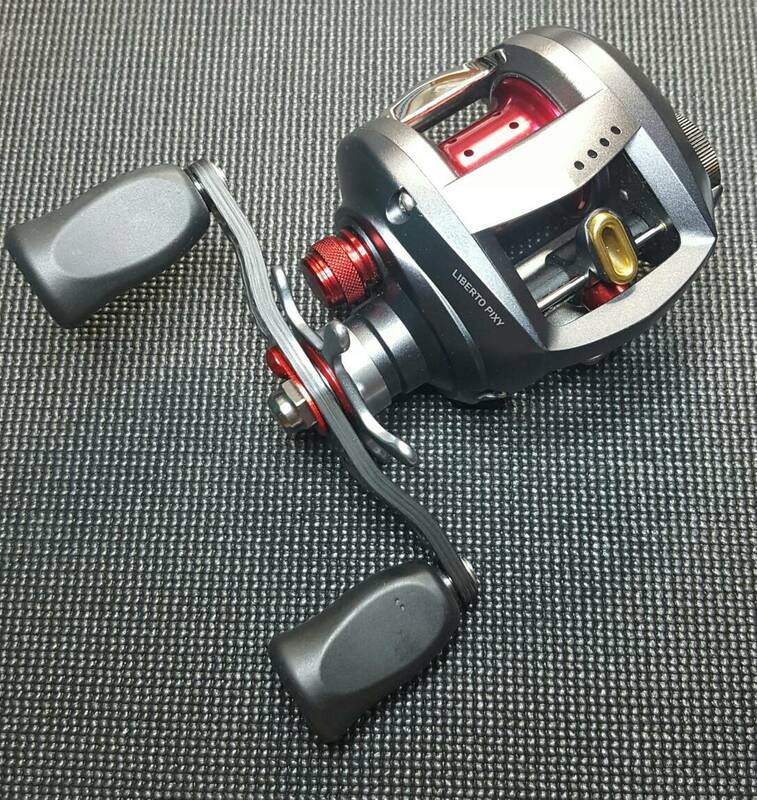 Daiwas spool sizes are opposite of how Shimano does things. 100 is the deeper, then its 103, then to the most shallow the 105. The spool on the right is the stock spool from the Daiwa Pixy PX68/ Pixy Type R. Its more on the 105 side, but a bit more shallow. That'll put things in to perspective!